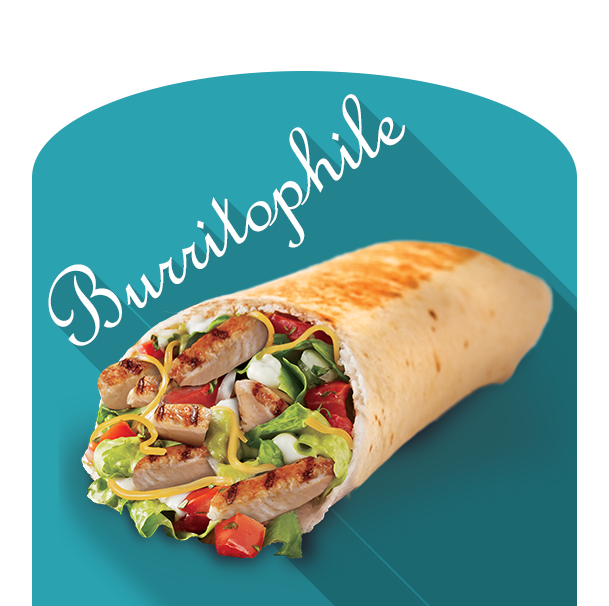 Burritophile is a website dedicated to the distinct charms and gastronomic beauty and possibilities of the burrito. 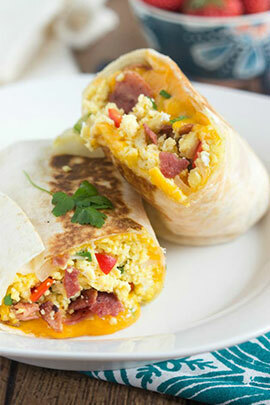 It's high time that somebody came up with a blog dedicated to all things burrito related. I’m not talking about tacos, and I’m definitely talking about enchiladas either. I’m talking about just burritos. You know what I mean. We’re talking about a tortilla that is stuffed with filling for the whole length of the tortilla and then expertly and deftly assembled to be rolled up and enjoyed. 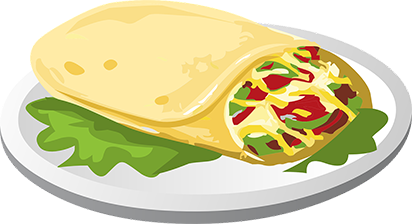 Whether you enjoy it in the form of a burrito wrapped in aluminum foil or wax paper or just plain naked burrito, this website has got you covered. I remember the first time I tried a burrito, and it really is a life changing experience. It’s very similar to listening to the Beatles’ 1967 album, Sgt. Pepper’s Lonely Hearts Club Band or listening to the 1967 Velvet Underground “Banana” album. It really is mind blowing! It changed what I thought was possible in terms of taste. The great thing about the burrito concept is that it’s so flexible. You go from one taco stand to the next, and you’ll be surprised as to how different their burritos could be. We’re still looking at the same form. We’re still looking at the same tortilla, but everything else in between has changed. For example, in Los Angeles, it’s quite common for burritos there to feature beans that have been crushed. These are usually pinto beans or kidney beans that have been crushed and processed into some sort of puree. This form of refried beans can be a bit watery or it can be almost solid. This is the preferred bean in Southern California. In certain parts of Northern California, on the other hand, don’t be surprised to get watery beans. They, of course, have a way of counteracting the extra liquid of such watery beans, but that is the preferred form of beans in the burrito in Northern California. There are also many different variations in the other ingredients. Some places would roast the onions first. Others would use fresh onions. Other places would use certain types of chilies. Others would actually use fermented or processed chilies. The only thing that’s really constant as far as the burrito form is concerned is that it has the basics. It has to have the meat or the main filling if you’re a vegetarian or vegan, the rice or beans and the onions and the salsa and the sauce. You can take some of this out, but enough of it would remain for you to remember that you are eating a burrito. Think of burritos as gastronomic versions of the blues. If you listen to the blues both as an aficionado or as a casual fan or as a total and complete newbie, you would quickly realize that there’s really not much differentiating one blues song from another. Whether that blues song is performed by Stevie Ray Vaughan, or Howlin’ Wolf, Muddy Waters or R. L. Burnside, the end result is the same. It sounds great, but it feels different. You know that they use the same formula. You know that somehow some way they pretty much are bound within the tight formula as far as scale projection is concerned, but you appreciate the music anyways. It feels different enough. You can detect the artistry, the mastery and the improvisation. The same applies to burritos. It may seem like we’re using the same three-chord progression because the ingredients pretty much remain the same. It’s very easy to see why a lot of people think this way because if, for example, Hollenbeck Avenue burrito shops make a name for themselves, they don’t open another branch. Instead, people from all four corners of the greater Los Angeles basin would make a pilgrimage to these places. I've had the distinct pleasure of having ox brains from Taco Llama in Los Angeles. Now, a lot of purists would say that Taco Llama is too commercial because they have more than five branches. There's kind of an unstated law among burrito fanatics that the less branches a burrito joint has, the more real and authentic it is. Why? It is all about the pilgrimage. Some burritos distinguish themselves based on their fillings. They use the same formula as pretty much all burritos, but they distinguish themselves based on their fillings. For example, a lot of Veracruz burritos are very heavy on seafood. In particular, shrimp as well as grilled fish. As you can tell, these changes in meat in the filler really take the taste to a whole different direction. That's what's so awesome about burritos because I've learned early on that you can actually take a tour of Mexico just by the burritos that you buy. I know it sounds crazy but it's true. 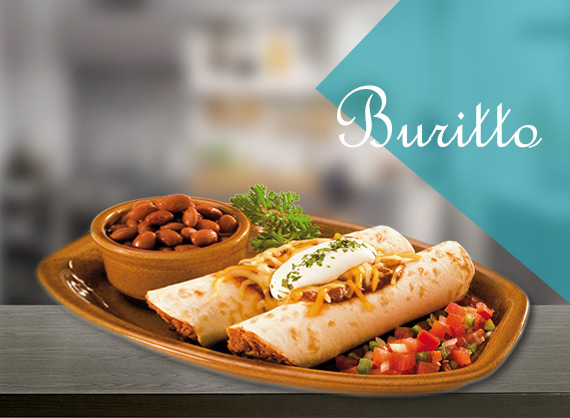 A burrito that is Veracruz style is different from a burrito that comes the Michoacan region. It's also different from Oaxaca burrito. You have this rolled tortilla with filling inside and you have some dips ranging from very hot salsa to that yummy green salsa and then some chips. Pretty straightforward. However, once you bite into it, you know full well where you got it from. One particular burrito is going to be very different from another burrito found in at another restaurant. Factoring in traffic, people might have spent two hours just to get to that place, and that’s what makes eating that burrito after all that time spent in traffic and all that time that you’re going to be spending in traffic on the way back home so worth it. There’s something to the process of going on a pilgrimage that really makes the actual act of eating the burrito so much more meaningful. The actual taste may not be so remarkable that it would be classified as simply mind blowing, but that's beside the point. The point is that the burrito had such a hold on you that you made that pilgrimage. Well, Taco Llama may have many branches but they offer the diversity of meats that really make them an amazing burrito find. It really is artistry that they could switch from pork cooked in shawarma style to traditional carne asada to ox brains. 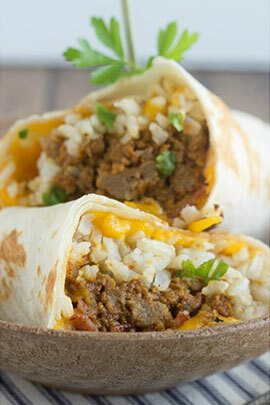 The beauty of the burrito is that it appeals to many regional sensitivities, and it also delivers a cascade of flavors. 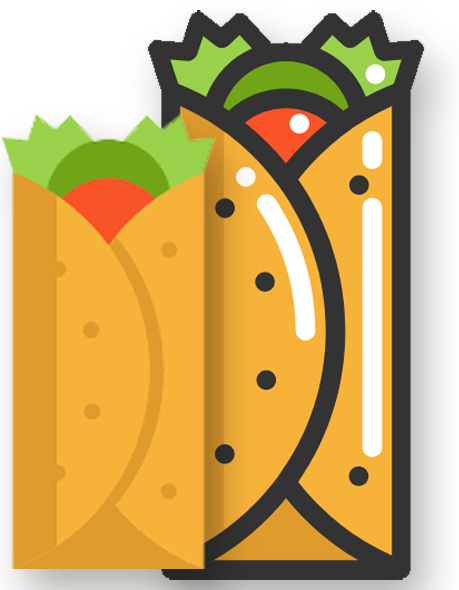 It really is amazing, and it is a work of art, and this website is dedicated to all things burrito. 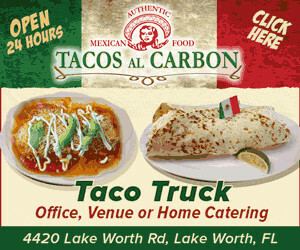 It is a celebration of this authentically Mexican food that has become all American. If you are a big fan of vaping, you know full well that it can get old really quickly. Sure, you can eject a lot of vapor and it creates a really nice halo effect. You can definitely see the expression on people’s faces quite some distance away as they see you wrapped in a cloud of vapor. This beats the smoke you produce from a cigarette by a long shot. It really does. It has less negative health effects for people around you, it smells better, and it doesn’t stick to people’s clothes. The best part is that vapor can actually smell pretty good, depending on the taste of the e-juice used to create that vapor. Sounds like an amazing win-win situation, right? Well, for the most part, it is. People around you don’t mind. You don’t mind because you get that nice nicotine kick without much of the health as well as aesthetic and cosmetic baggage of cigarettes. Gone are the days of you smoking and coughing. Gone are the days of you painting the insides of your lungs with a thin layer of tar. That’s precisely what you’re doing if you are using cigarettes because you’re burning something. Whenever you burn something, whether it’s chopped up tobacco leaves rolled up in a cigarette or a pile of wood, there would be tar created. Tar is some nasty stuff. In fact, according to many scientific studies, tar, as well as smoke, contains hundreds of chemical compounds, many of these are extremely hazardous to health. Well, thanks to vaping, people now can enjoy the nice kick or buzz of nicotine without the long laundry list of potential health issues brought to the table by tar. You don’t have to worry about the rough, clingy, itchy effect of tar-laced smoke in your throat or lungs. You don’t have to worry about people giving you nasty sideway glances because they can smell the smoke on your clothes or skin. You don’t have to worry about having to take a bath to get rid of the smoke smell. What’s not to love? Well, the big challenge is that, eventually, vaping can get quite old. If you stick to the same e-juice from the same vape juice shop day after day, week after week, month after month, year after year, don’t be surprised if you feel like vaping is just like smoking. Let’s get one thing clear, when you smoke the same brand every single time, you expect a certain flavor. The great thing about vaping is that you have a tremendous amount of freedom. You still get the same end result, which is that buzz that pumps you up. Whether the first thing in the morning or right after a meal, you get that nice nicotine buzz that gives you that stimulation you need to get things done, while, paradoxically enough, relaxing your nerves. But if you use the same vape juice day in, day out, it gets really old really quickly. This is why it’s really a good idea to mix things up. Don’t think that just because you’re vaping that you are stuck with a particular e-juice. There’s really no hard and fast rule that dictates that you should keep using the same e-juice. There’s a tremendous amount of juice varieties out there on the market, the only limit, really, is your imagination. If you like something unconventional, you might want to try bubble gum. This is especially used by people who have a very fun temperament or who are very open-minded. If you like certain types of food, for example, if you like Indian food, there are e-juice formulations that have that distinct exotic edge to it. Not much different from burning incense. If you like certain types of fruit, there are many vaping juices that do a good job mimicking the natural flavors of these fruits. Whether you like these foods in dried form or in fresh form, you can bet that there will be some sort of juice formulation that has your tastes covered. This is what’s so awesome about vaping. You just get a tremendous amount of leeway. There’s a lot of things you can mix and match. You’re not stuck with one particular experience day in, day out. You can pretty much change things around on a whim. In fact, a lot of vapers would keep up to a dozen different juices available so that the next time they vape, they can just quickly swap out the cartridge so they get a different experience each time. The bottom line is simple, life is too short to get stuck in a routine. You don’t want to vape just because you feel like you’re going through the motions. While we can all agree that the main reason why people do this in the first place is that they want to get that nicotine kick, that’s no problem. We can all see that. But it doesn’t necessarily follow that you have to keep using the same juice or taste the same flavors time after time to get that same kick. The destination remains the same, but, thanks to vaping technology or e-cigarette technology, there are many different pathways to get there. So do yourself a big favor and be more open-minded as to how to get your next vape fix. The more unconventional, the better. In fact, if you don’t push against the walls of your comfort zone, they start caving in on you. Initially, comfort zones are supposed to protect us, but if we just sit back and just continue to do the same old, same old, those comfort zone walls start feeling more like invisible prison walls. Push back. Expand your mind. Do a little bit of experimentation. You’d be surprised as to how pleasurable, exciting, and unconventional e-juice tastes can be. In fact, you might want to play roll-the-dice with your juice collection. Don’t have any preconceptions as to the kind of juice you’ll be using today. Just roll the dice and assign a juice to a number and let a little bit of randomness take your vaping experiences to a whole higher and more unpredictable level.